But to really get some interaction you just have to try a “Tweet Chat.” Tweet Chats are full of real people talking to you in real time. They usually last an hour and at the end of it you are going “WOW, I can’t believe it is over”. Thankfully most of them tweet you a storify (a web story of all the tweets) so you can find the things you wanted to remember or go over the information you missed. You are probably asking, “OK, Why do I want to do this? 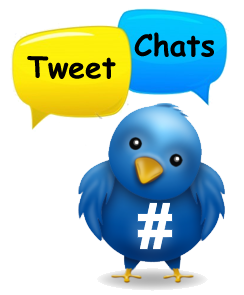 What is the benefit?” Tweet Chats are made up of people who share the same interests and/or want or need information about something. It can be anything. Because I have a huge interest in Social Media right now and am trying to learn as much as I can, I have joined #BizHeroes, #TChat and #PRProChat. These are all business related chats. Do you have a business, medical or other how to? Well you can probably find a chat to help you with your questions. There are literally 1000’s of chats, on 1000’s of topics. Check the twitter list or just try typing into google “your subject twitter chats” and see what comes up. Following a chat is fairly easy. You can type the #subject into your search bar on Twitter and then follow the conversation. This is a great way to see what is happening, but if they are moving quickly you can lose track of all the responses. Try one of the dedicated chat rooms. I use “tweetchat.com”, and “twubs.com” has also been recommended to me. The format is pretty straight forward. The mediator puts out a tweet with the first question. Q1…. 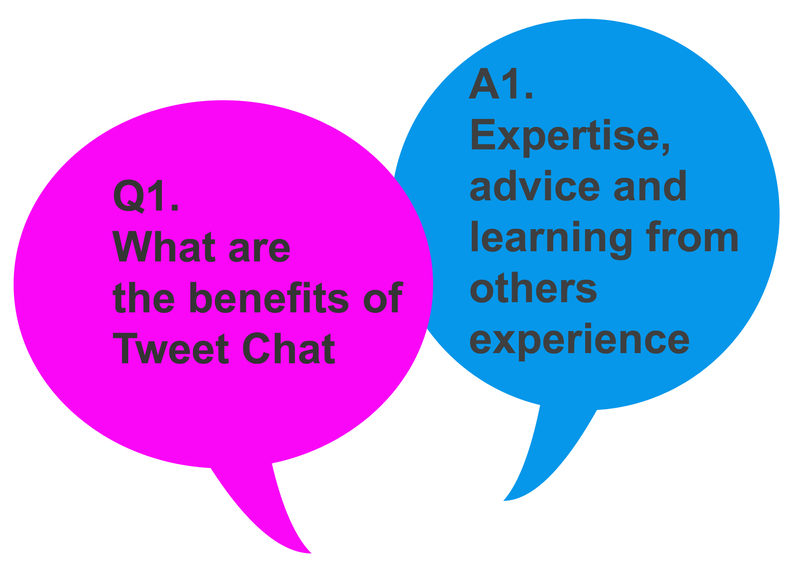 The expert gives his answer with A1…., then everyone else pipes in with their help, retweets, favourites, etc. This helps you to keep track of the entries that are pertinent to you. Then after 5 to 10 minutes. Q2? appears. Normally in the hour there are around 6 questions, with lots of comments. Most chats run about an hour. Some groups get together every week on the same day at the same time. Others chat once a month. Be sure to check out the timezone. Chats are run all around the world. Yes you can multitask while following along. I have definitely had to pop in and out while formatting resumes. You can usually catch up very quickly. 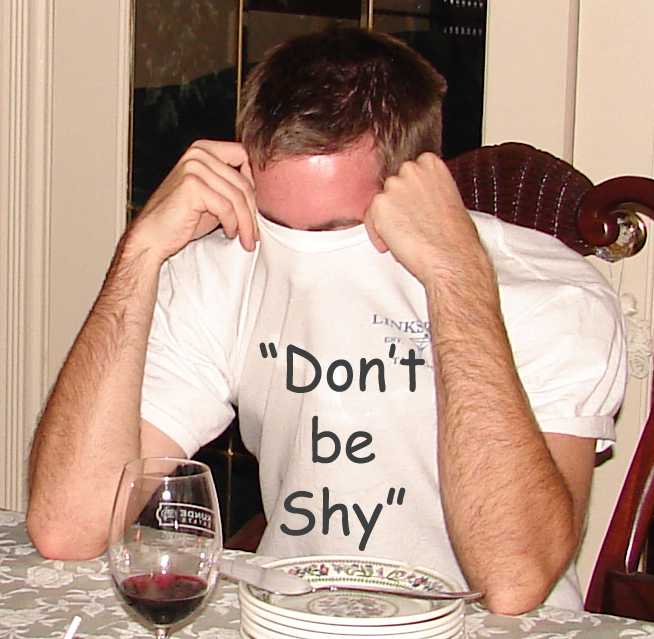 Give it a try, Don’t be shy!!!. They aren’t all business-like, and the people do like to chat. You will laugh. Grab a coffee, tea, and your mouse and get ready for the fastest hour of your week.